With Jimmy Savile’s story dominating the British newspapers and TV for the past year the subject of abuse is very much in the news. Most people who experience these types of traumas in life keep quiet. They often hide the fact that they have experienced it for a multitude of emotional reasons. So it is rare for someone to come forward and offer their story. Abuse can have a devastating consequence for those who experience it. Some of the impact is obvious and some more subtle. I would like to share with you Brian’s story. Brian experienced abuse and multiple other traumas in life at a very young age. This story shows the impact of it, it also shows the techniques Brian has used to free himself from his past and create the future he dreams of living. Abuse can often happen to those who find themselves in a vulnerable place, such as a child who finds themselves put into a home because their family can no longer provide for them. Without the protection normally afforded a child by a loving parent it can leave them open to predators. Those who take advantage of the situation. 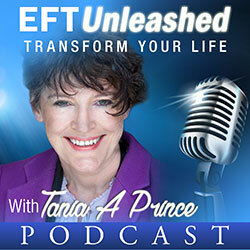 This was the case of Brian (Listen to Brian talk about his life and EFT), who found himself in a disparate situation. Left by his mother he found himself in a home. And if that was not bad enough at the age of 11 he was abused! He tried to seek help and speak up, but the person he spoke to told him to tell his abuser, unaware that this was the person Brian was talking about. It was in that moment eleven year old Brian realized there was no one he could turn to. The only avenue open to him was closed, as the abuser was in a powerful position within the home. Faced with this situation, as so often happens with a deep trauma, he repressed his emotions and just got on with life. On the face of it, it looked like Brian did well. He got married and had children. He ran his own business. However trauma like this impacts even if it is not obvious to the person it is impacting. Brian suffered from depression. He was on anti- depressants. Whenever he tried to come off them, his wife would notice, because of the change in his behavior. She would point it out to him and ask that he start taking them again. He was locked in this situation. He saw himself as a “person who coped”. He got on with life and did not think “poor me” or of himself as a victim. He accepted the reality of his past and life. Brian liked to help people. He loved chatting with his customers and helping them resolve their problems. He had an interest in self development. 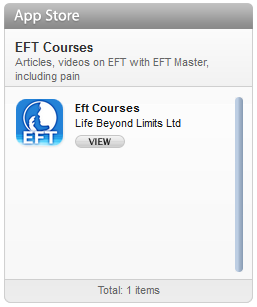 Because of this, he discovered EFT. This is where we met, Brian attended an EFT Training. At the beginning of the training, when he introduced himself to his colleagues he briefly alluded to his past but said he didn’t really need to work on these events from his childhood because he felt he had dealt with them (people often say this, but seldom is it the true case, when things have been dealt with they don’t impact us, something was impacting Brian as he was on anti-depressants. People do not realise the difference between truly dealing with something and merely having accepted it and put it to the back of your mind). Anyway, it is not my job to make people change, they have to make that decision for themselves. During the course of that training, Brian made a decision. He decided it was time to clear his past, having realized throughout the training that maybe he did need to work on it. He was going to work on the traumas from his early childhood. Bravely:-) Brian volunteered for me to work with him in front of my other trainees. At the start of that session Brian told his story briefly to the group and then we worked on three deep traumas. The moment of realization that he was abandoned, the abuse itself and the moment of realizing that he had no one to help him when he attempted to seek help. These are all split second moments of shock, although the impact of them can be lasting. 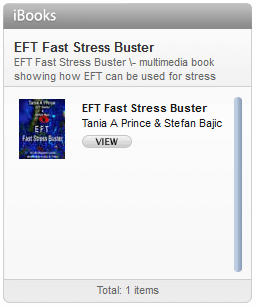 EFT works best when you precisely target it. To minimize discomfort to Brian, I used mostly dissociative approaches and language. This results in little need to go through any detail about what happened, therefore minimizing the risk of reliving it (direct language can often lead to a person re-accessing the emotions and regressing right back into the trauma that happened. This can in some cases lead to extremely intense emotions surfacing. When dealing with potential intense trauma it is important to protect the client and use approaches that minimize any distress. Crying is a natural release mechanism, so in and of itself it is not bad to have tears. Although Brian did feel emotion during this session, it was of short duration and of a relatively low intensity (to what it could have been given he nature of his trauma). 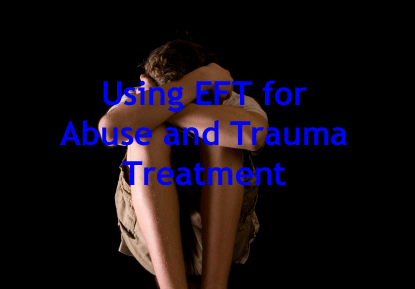 It is perhaps important to note that repressed emotions do not always just go down as you tap with EFT. They emerge and then you tap through. I don’t feel we fully cleared Brian’s issues, after all we only tapped for about thirty minutes. (Of course he had also tapped on various things throughout the training prior to his volunteering, so, I am guessing that had helped him make the decision to confront these events). At the end of the thirty minute tapping session (this is not continuous tapping, his was targeted tapping and then chatting and teaching), Brian looked substantially different, you could see the difference in his face as one of the trainees pointed out. He felt dramatically different. When doing therapy you need to monitor it over time to see the full impact. Shortly after the training Brian decide to wean himself off his medication. He did this in a controlled way, without telling his wife. From past experience he knew that if there were any problems she would know and she would say,”you have come off your anti-depressants”, she did not say a word. It slipped right by her. Not only did he do that, he took a bold step forward in his life. He told his clients that he was stopping his current business, near Christmas. He had wanted to change careers but had been unable to do so prior to attending the training. This was because there was an emotional block to this course of action, one he must have resolved to some degree during the training. I wrote this article with the help of Brian. To me, it highlights the need to release, let go of past trauma if you want to improve the quality of your life. I think it also highlights that just because we accept things happened in our past or that we seldom think of them does not mean they are resolved. Many people who are “good at coping” merely have developed a strategy for pushing their emotions down, they “hold on” and get on with life. In the short term this is fine. In the long term it is a burn out strategy. Clearing out and resolving trauma stops it 100% impacting you. At this point you no longer have emotion around the trauma and the memory fades and is difficult to draw back into the mind. Once trauma is cleared it should not require effort on your part for you to no longer think about or feel it. It naturally should just no longer be there. That is when a trauma such as abuse is truly resolved. Only then does it stop impacting your life. Note: In point C, the key moment of shock is not where he takes the decision to seek help. It isn’t where he goes to the adult to tell his story. It is the moment he shuts down when he is told to report his story to the head of the establishment. The man responsible for the abuse. This is a key moment linked to the emotion of “powerless, helplessness, hopeless”. He can’t do anything about the situation. Therefore he has to (doesn’t want to)accept it. By the way, some of the key emotions behind depression can often be powerlessness and hopelessness. The first round of EFT Tapping was using temporal language. Time related language, putting the event into the past where it belongs. When you have a trauma active in the system the mind/body often has not processed it out and it classes the trauma as a current threat to survival. Like a computer after you work on the event with EFT the mind reclassifies it as an old event. If you understand NLP you can follow the mind as it does this. Vivid memories fade. They often become distant. They become dissociated, in that the person no longer sees them as if they are still reliving the moment. They see themselves in it. As the mind changes how it codes the memory the person becomes free of the impact of it. It still happened, but they can be at peace and move on with their lives. Pre-discussion identifying which specific event we are working on without going into the detail of it. For example moment three above. The moment realizing there was nothing he could do. Later in the session I also did some temporal reframes. Reframes are often best by a therapist. There is an art and skill to their effective delivery. When delivered right they can have a dramatic impact. They can often shift unconscious resistance to change:-) There are some of the reframe models I have developed as a giveaway when you sign up for my newsletter. The reframes are embedded in the articles. I would like to thank Brian for his help with this article though the recorded interview he did with me after the session. You can listen to that interview by going here.